I've been working to find ways to make healthier recipes for my family. It truly is an amazing process of discovery. I say this because everyone thinks it is expensive and difficult to eat healthy but honestly it is just like any other change, it takes time and a desire to make a change. I love that my family will try most things that I make and they are eating healthier even when not at home. What healthier changes are you making for your family? What changes do you want to make? I've been cooking no salt and low salt for years. Sometimes the spices are really expensive or contain unwanted preservatives so making my own seems like an even better idea. Ingredients found in your spice cabinet! I want to get back to the basics and make things that do not contain a bunch of preservatives. One thing I have been doing is making my own dressings and spices. 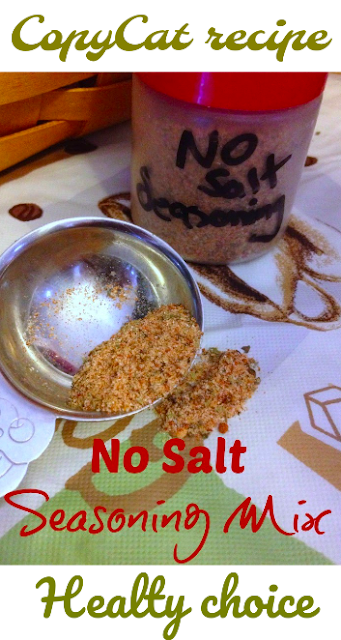 I was thrilled to find a no salt seasoning mix in the new Gooseberry Patch Good For You Everyday Meals Cookbook. Along with this recipe, I found others worth making too! Get those recipes at the end of the post. Mix together all the ingredients and place in a shaker jar. Makes about 5 tablespoons. 1-I used 1 tablespoon for each of the above ingredients except cayenne which I used 1 teaspoon. 2-I'm not a huge fan of thyme so instead of thyme I used italian seasoning. It is a bit redundant but it worked. 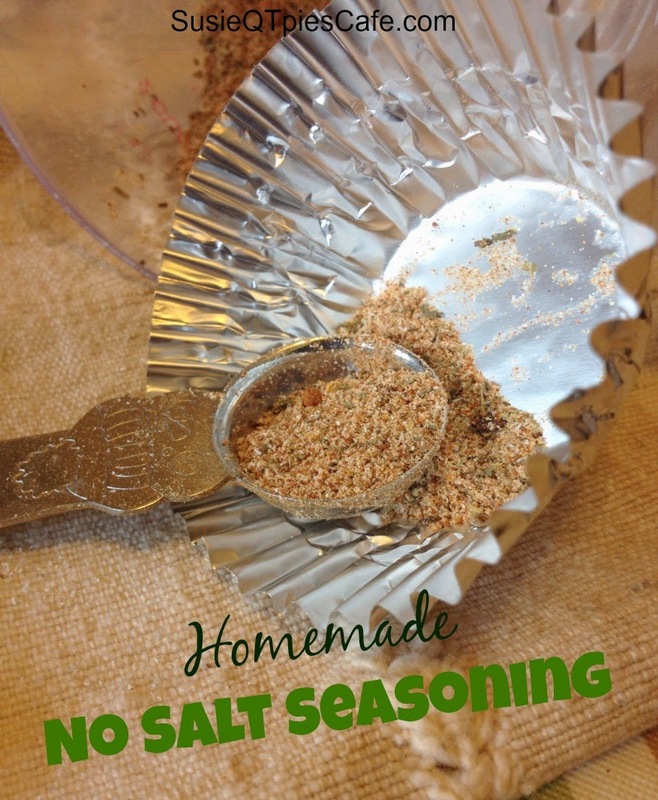 3-We've been using this seasoning a lot lately! It worked great to add some spice to our salad veggies and a tater wedge recipe. Check back as I'm going to share that tater wedge recipe on Friday! I need this. 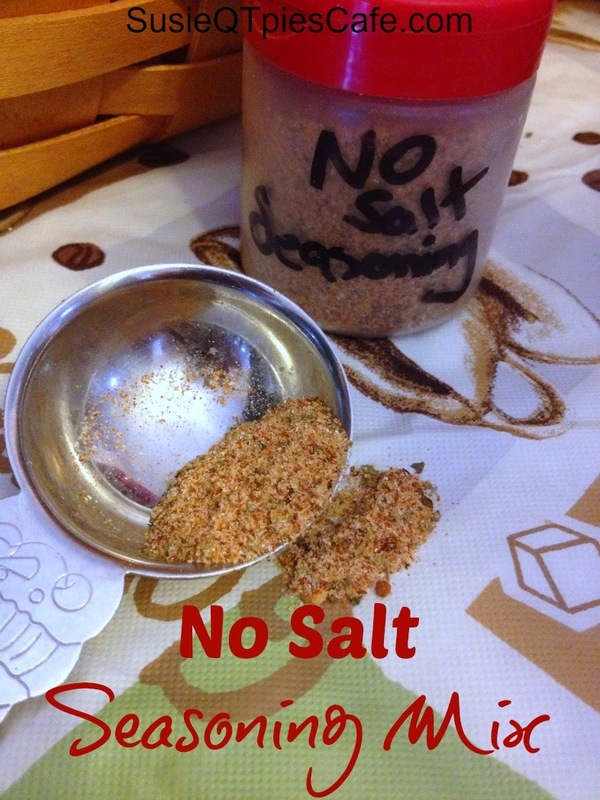 I am trying to make more and more of our family's seasoning options. This will be a perfect addition. Hitting Pinterest! :) Thanks for sharing! I love this!